The device that actually holds the data is known as the storage medium(‘media’ is the plural). The device that saves data onto the storage medium, or reads data from it, is known as the storage device. Sometimes the storage medium is removable from the device, e.g. 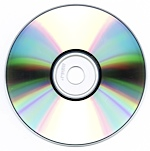 a CD-ROM can be taken out of a CD drive.